Website of an SEO company based in Melbourne, Australia. 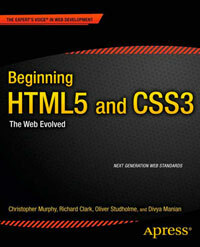 The site uses some of the new structural elements of HTML5. The charset definition could be simplified as <meta charset="utf-8" />. The hgroup in the main header is used incorrectly as it only contains a single h1. The page content is split up into sections, each with its own heading, which in turn are split up into articles, again each with its own heading. This is good usage of these two, often troublesome elements.